Delight someone special on their 50th birthday with a gorgeous organic personalised scented candle. These personalised scented candles not only look fabulous, but also smell wonderful. 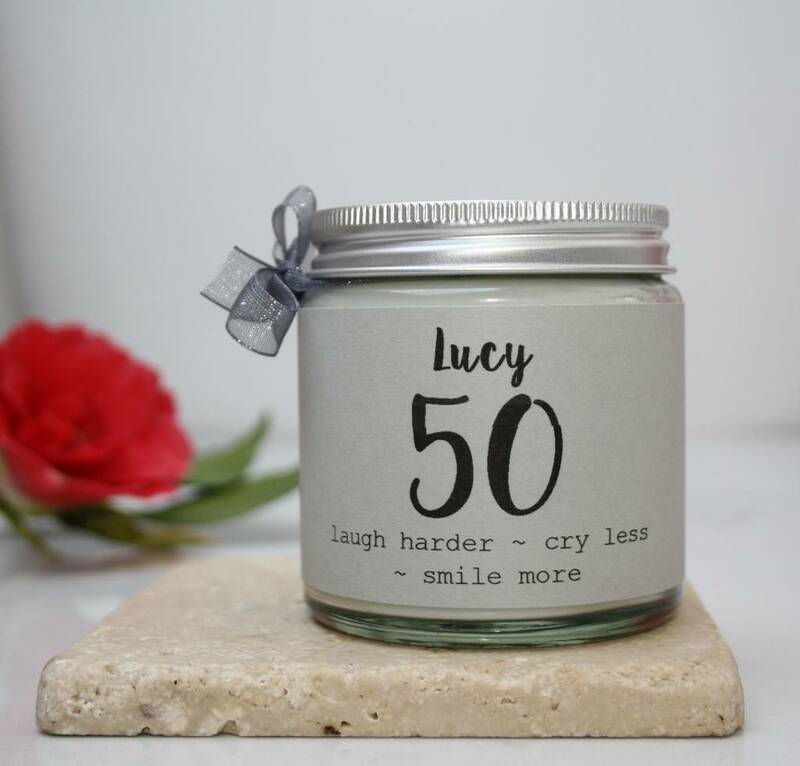 The candle card sleeve bears the words 'Laugh harder - cry less - smile more' and your birthday recipient's name to make this a unique gift that will make them feel special. Why not make it truly personal with a sterling silver initial/star charm? 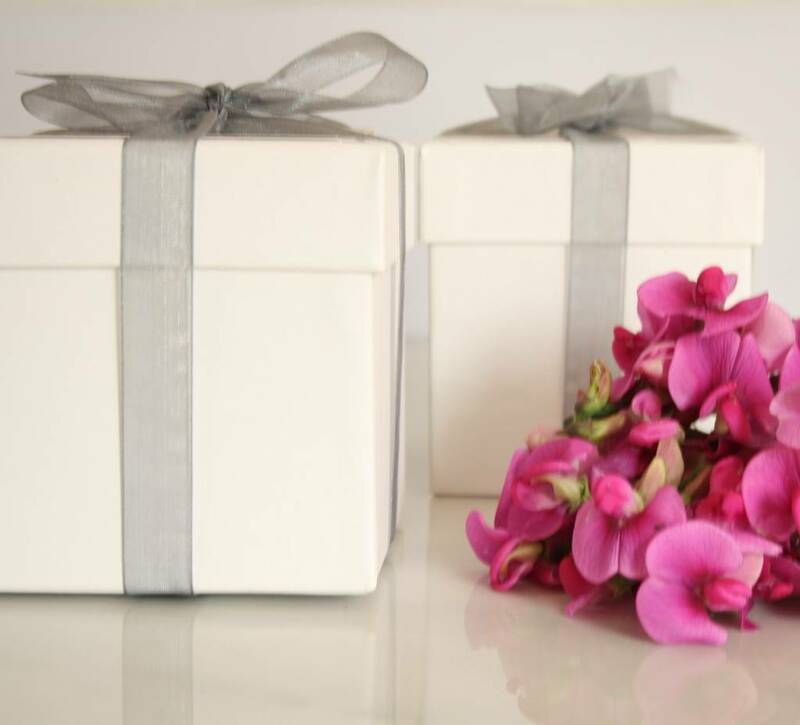 Your 50th Birthday candle can be wrapped in cellophane finished with sheer grey ribbon, or presented in a luxury white card box. Your candle can be personalised with your recipient's name. Choose from six different fragrances: french lavender, sweet clementine, elderflower & white jasmine, mimosa, damask rose or sandalwood. 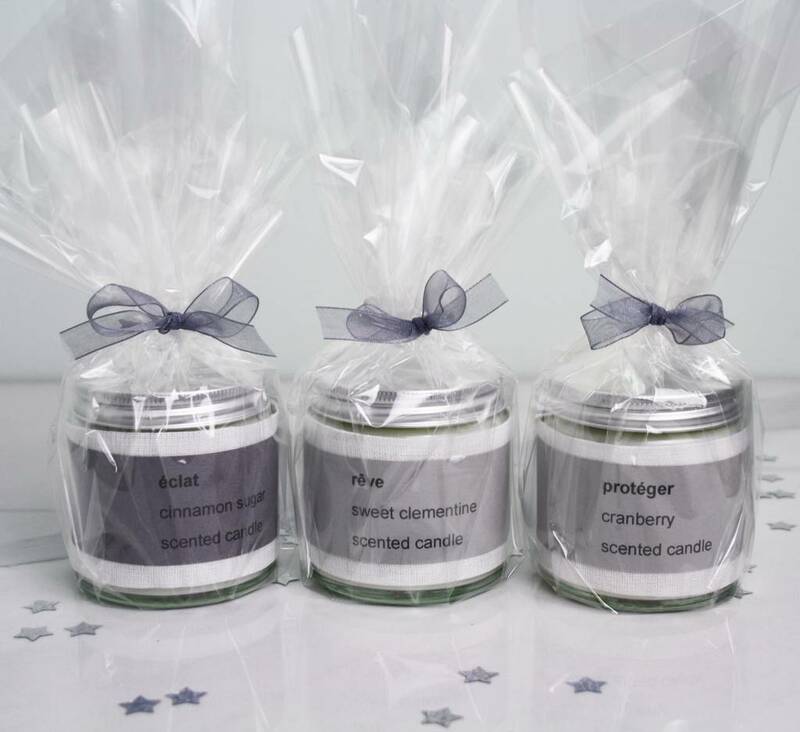 Our hand poured candles are made from natural coconut and soy wax, cotton wick, natural fragrances and essential oils. We never use any synthetic chemical fragrances.